Light, air, and storage. 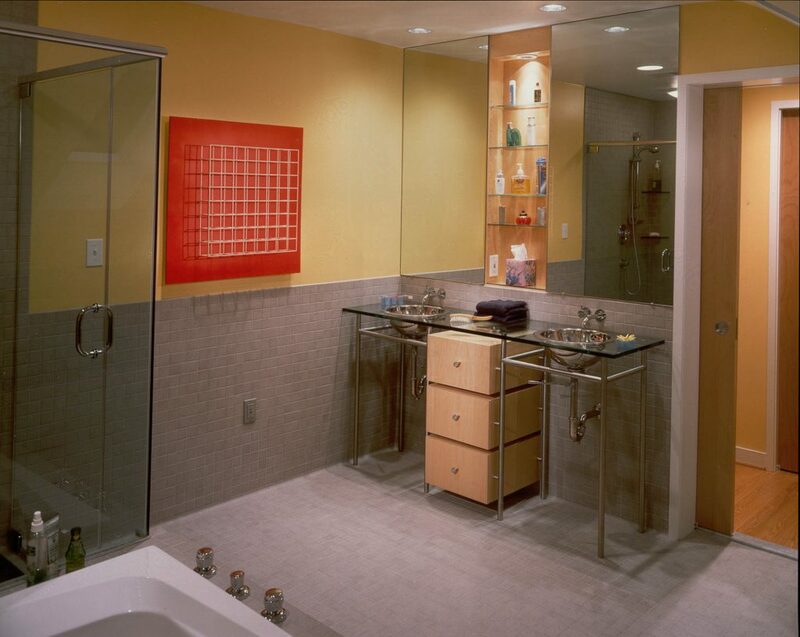 This master bathroom boasts all of the above, plus a generous tub, separate shower, and double vanity. 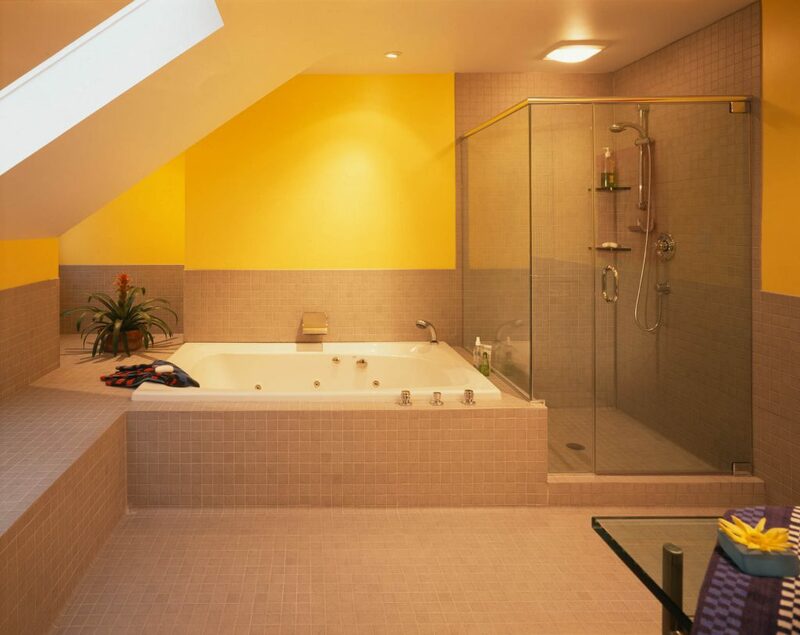 A large skylight in the sloping ceiling invites bathing by moonlight, while neutral tiles play up the yellow wash of color. 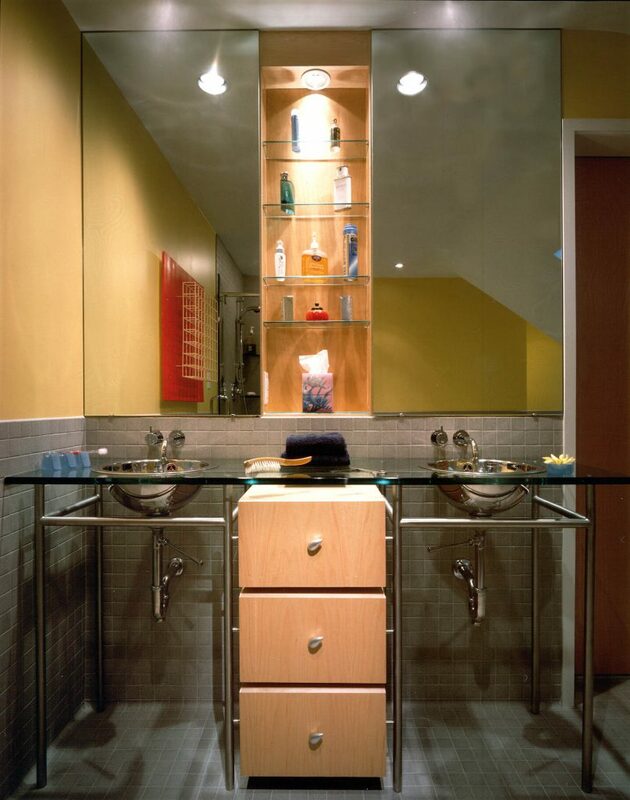 A custom double vanity—based on one the clients spotted in a European magazine—combines maple, glass, and steel elements. Above, the open shelves become an added sculptural element. A contemporary piece of art disguises a wall-mounted medicine cabinet.